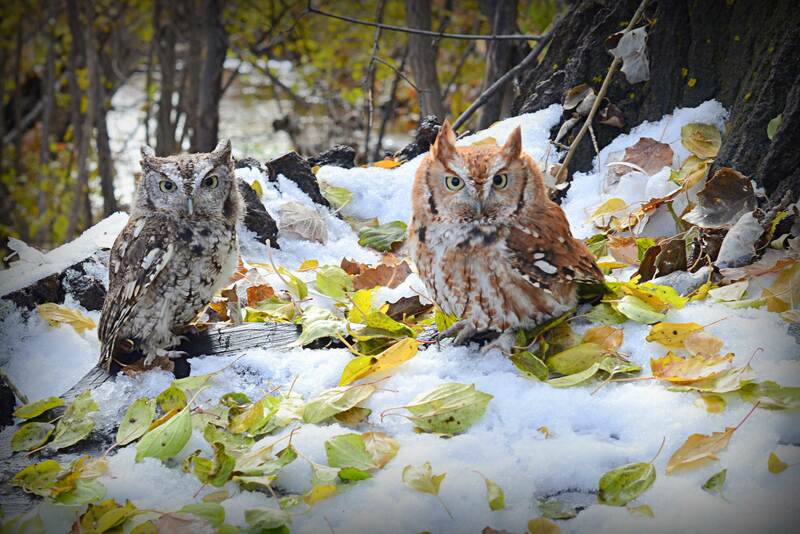 Big Bad Wolf & Little Red Riding Hoot our eastern screech owls are tiny predators with have big personalities! Both of these birds are quick to strike with their talons and beaks if they feel threatened. We do our utmost to remain calm and steady around them so they have no need to be frightened. In the wild, screech owls prey upon mice, small snakes, large insects, moths and bats. They also quickly can become food for great horned owls, barred owls, red-tailed hawks, Cooper’s hawks and Northern goshawks.